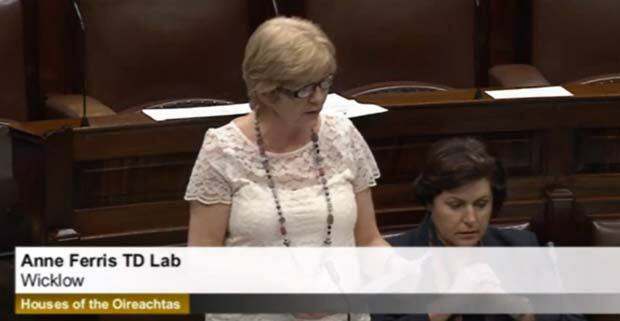 Labour TD, Anne Ferris, has confirmed that a decision to remove primary services for STEMI heart patients from St. Vincent’s Hospital is to be reversed and that services will resume as normal next week. “I was shocked when I heard the news this morning that heart attack patients from Wicklow would be expected to pass Vincent’s hospital for essential lifesaving services and travel across the city in traffic to St. James’ or to the Mater Hospitals. “Following discussions with the CEO of St. Vincent’s, the offices of the Tánaiste and Minister for Health, I can confirm my understanding that this plan has been reviewed and will be dropped. I have been told that services at St Vincent’s will resume as normal next week. “This issue is personal for me – too many lives are being lost to heart disease in this country. It is imperative that the services in place to save lives are not rendered ineffective. “Decision-makers in the health sector must recognise the broader national context of Dublin-based hospital services. Decisions that on the surface may seem like they only affect health service delivery and efficiencies in the Dublin area, can in fact have a more serious effect on commuting patients from counties outside of Dublin.